For as long as there has been “civilization”—and in all likelihood, before—humans have engaged in music. 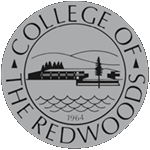 College of the Redwoods takes pride in the variety of courses in our Arts and Humanities Division. This division offers associate degrees in seven subject matters.